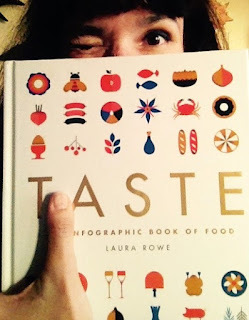 Taste, the infographic book of food! If I had to give an award for the cutest book of the year this title by food writer and author Laura Rowe would take the prize! 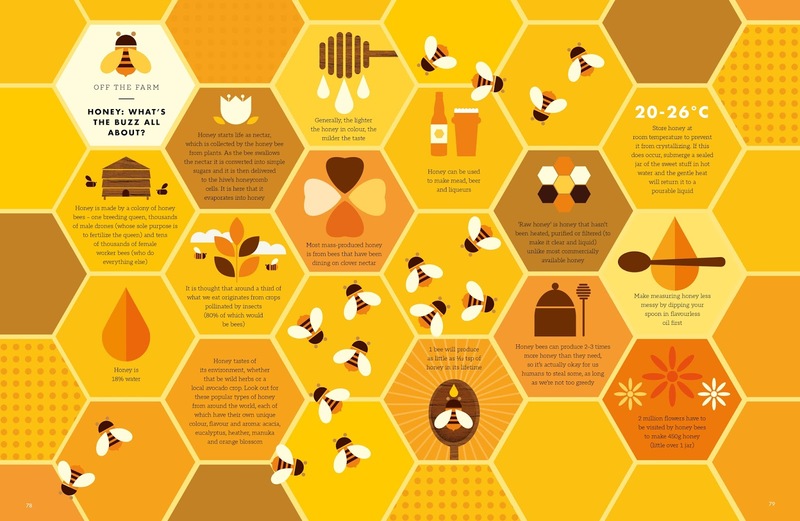 But it's not just about the cute, it's actually quite beautiful, stylish and informative too. And the Illustrations by Vicki Turner are simply delicious! But you know... it's not all about the looks, it's also an exciting exploration into the complex and colourful world of food! 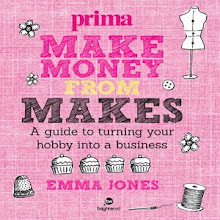 You see, I actually love knowing about the inspiration and origins behind certain foods and recipes so I literally didn't put down this book until I read it cover to cover! 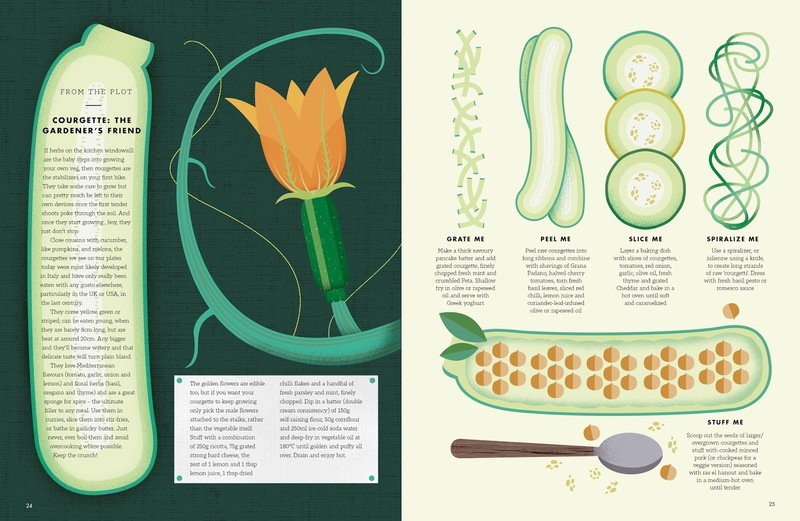 Taste, The Infographic Book of Food is not just for the eyes but also a feast for the belly as it's packed with recipes and tasty food facts! 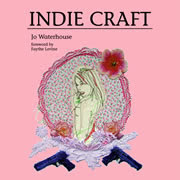 I also found it to be a really emotive book as I got the sense that the author is genuinely passionate about the subject. 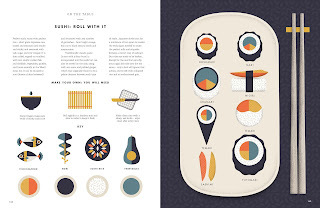 Packed with amazing facts and tips including a simple how to roll sushi tutorial this book also offers readers weird and wonderful food factoids, great recipes plus a very handy weights and measurement conversion chart. 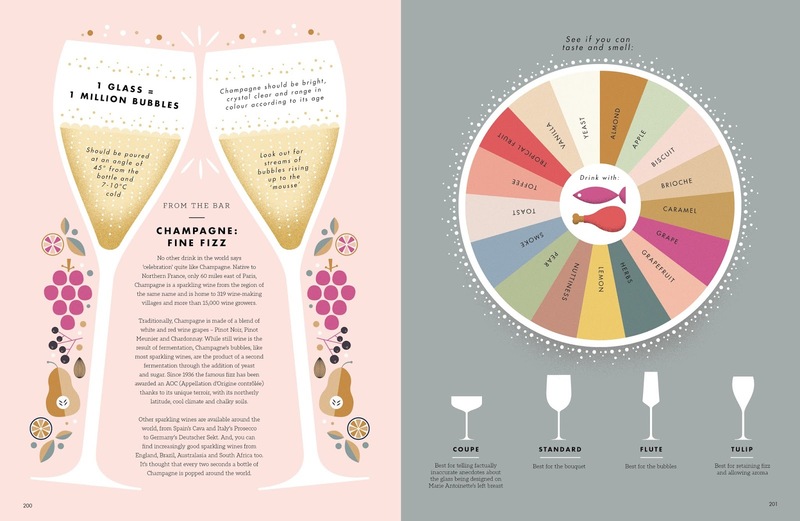 There's even a few cocktail recipes that'll get your party guests talking, a guide to Fizz, a comprehensible table setting layout and a seasonal eating calendar. 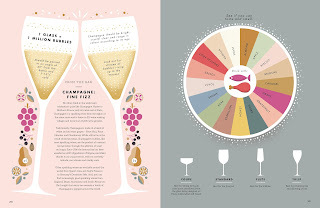 And can I just say that I am quite excited about finding what flavours and notes I can find in a glass of Champers! Ha, any excuse, right?! 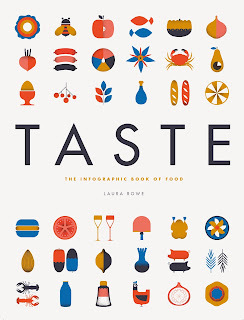 Published by Aurum Press "Taste, The Infographic Book of Food" is a book I'm sure most foodies will love but it will also delight art lovers and the knowledge hungry gourmands!!! just like those repeat visits to that cookie jar in search of yummy bite sized literary tidbits. Hum, I never knew Beetroot had a wild sea variety which you can still find on many European coastlines. Next time I'm down the coast I shall have a good old forage! But it's not merely a facts and figures book nor a collection of recipe index cards thrown together, each section is divided nicely and neatly into easy to find chapters which veer into different food related tangents. 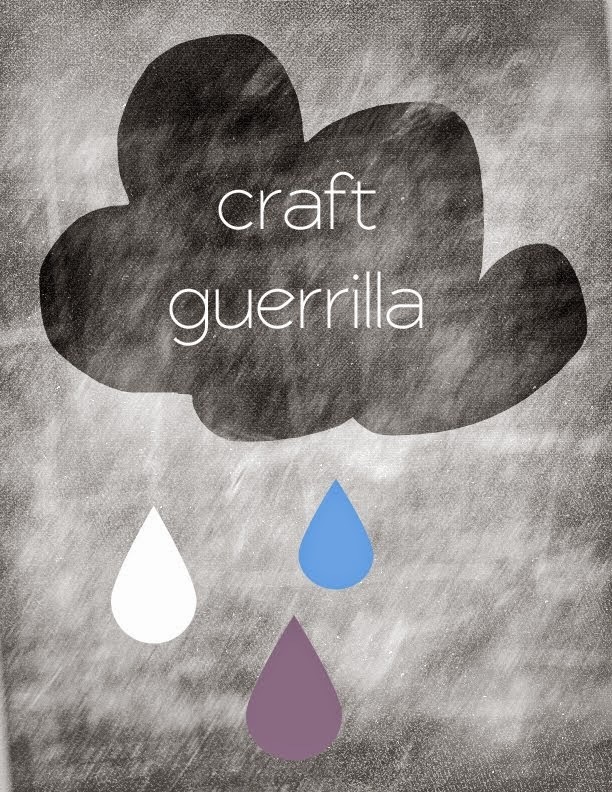 From the plot, Off the farm to Any other business which covers - as the chapter title aptly describes- all other food related stuff like an explanation of the five taste groups and a knife guide. So no more muddling your fish knife with your steak knife! 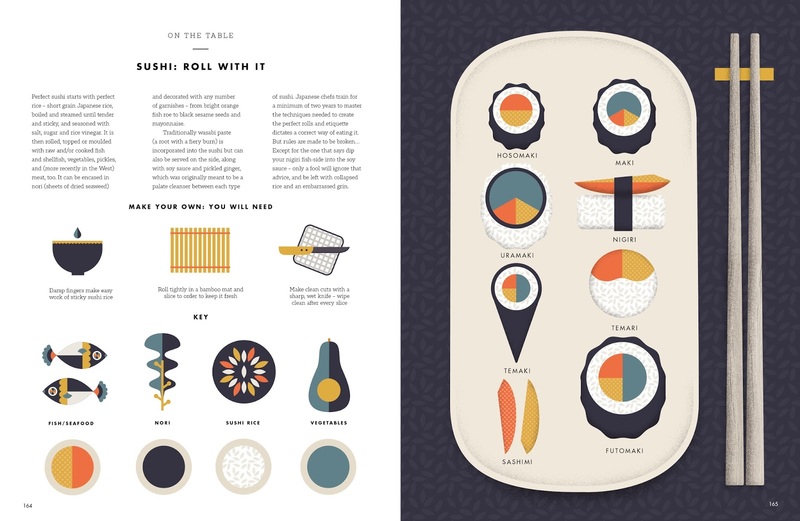 So if you love food, pie charts and graphs all gorgeously illustrated, a sprinkling of history, info packed factoids plus a recipe or two thrown in for good measure then this book is perfect for you! 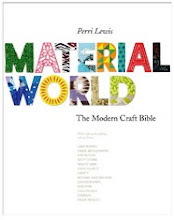 It truly is a tasteful title, you could say it's the modern food bible for stylish food lovers. Bon appetit! 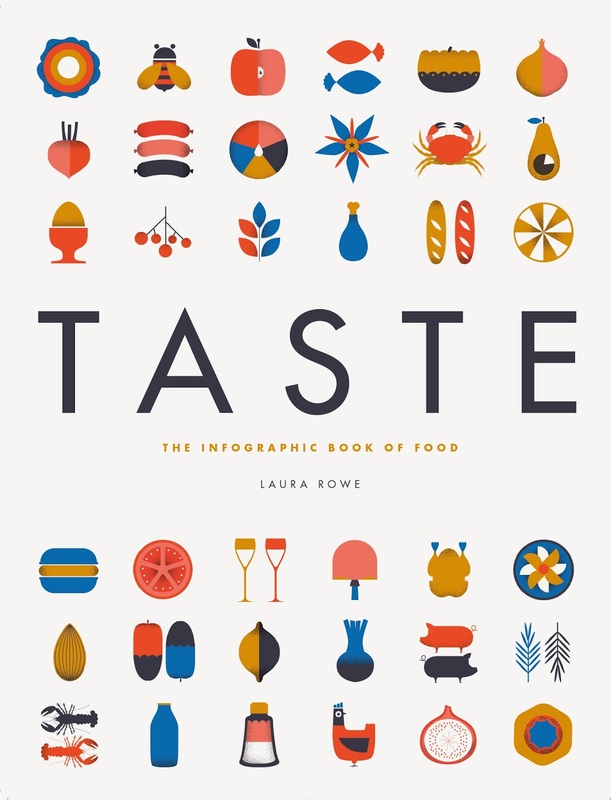 The Infographic Book of Food at the discounted price of £16 including p&p* (RRP: £20), telephone 01903 828503 or email mailorders@lbsltd.co.uk and quote the offer code APG392. Cinnamon has to be one of my favourite spices... Warm, slightly bitter and deep... like a nervous "making-up" hug when you knew you were in the right but had to swallow your pride because you love them! 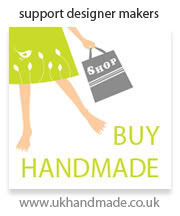 I've been baking and tinkering in the kitchen since I was a little girl. 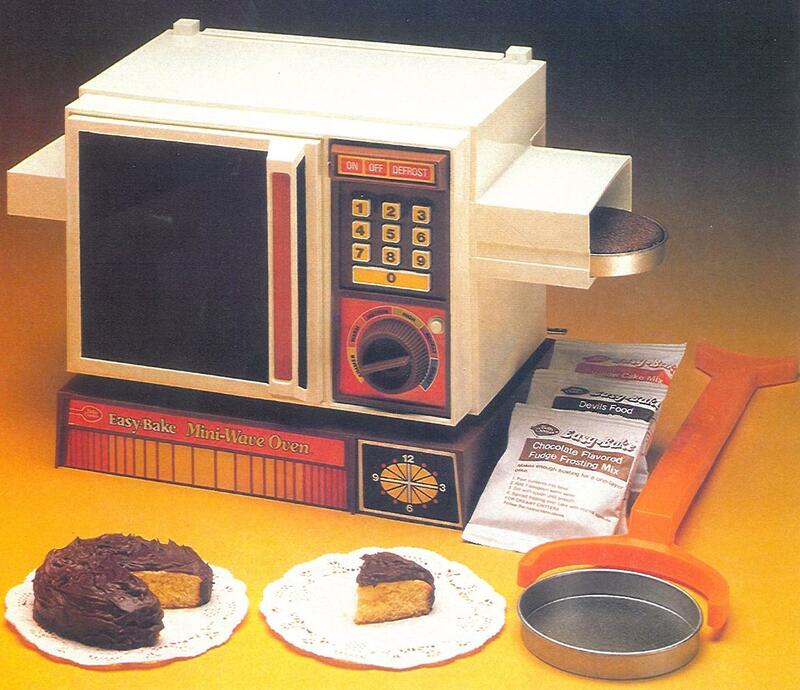 At the age of 10 I was given my favourite toy, a Betty Crocker Easy Bake Oven. Yes thanks Betty, it was easy but also darn dangerous! The amount of times I burnt my arms removing the red hot cake tins from the oven are way too many to mention but hey, that was the 1980's so toy safety was a little bit different then but what it did was ignite my passion for baking! The scars quickly healed but what baking gave me in return was worth every blister and burn!!! 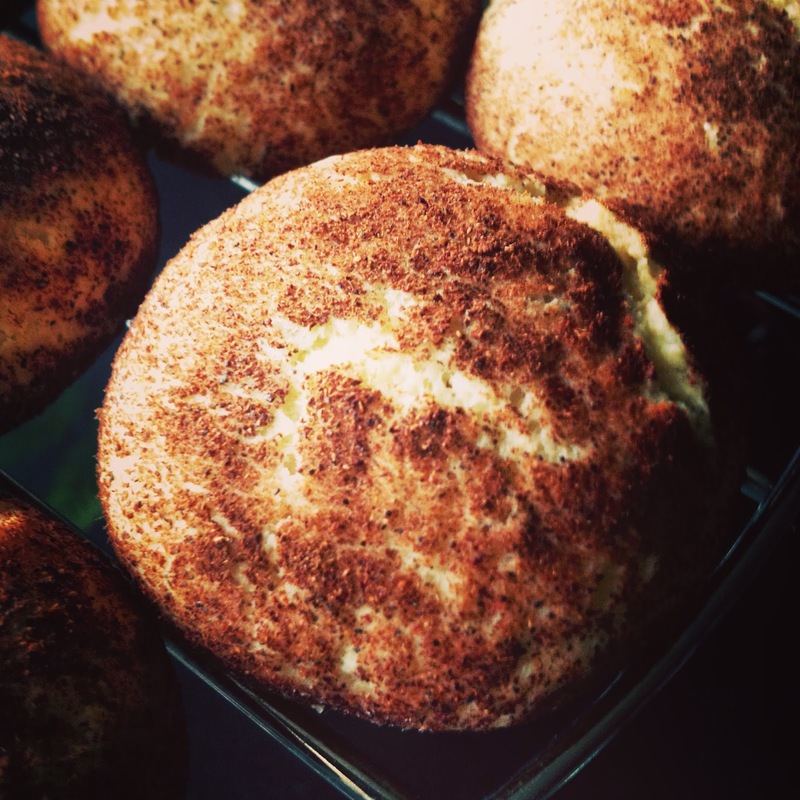 Baking can save us a whole lot of heartache plus the bonus is that you get to eat your way back to happy! Having just returned from mum and dad's in the Algarve I thought it would be nice to share with you guys a great fuss free recipe of something I always crave when I go there on holiday. 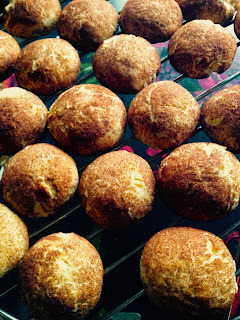 So here's my version of the traditional Portuguese cinnamon biscuit which are more a mixture of cake and biscuit rather then a pure biscuit... they sit quite deliciously and contently between the two worlds. I've added cardamon to add a Scandi flavour to them but for purists remove the cardamon from the recipe. You can also use butter for a richer biscuit but as I'm trying to go vegan I opted to use soya marg instead and it works pretty well. The result is a lighter, airier biscuit but still packed with tasty flavours! 1. In a bowl mix the egg, sugars, cardamon, margarine and flour until you get a homogeneous dough. Don't overwork or the biscuits will be quite hard. You can use a food processor for this but I found it just as easy with a wooden spoon. 2. Cover and chill for about 30 minutes. 3. Roll into small balls -about the size of a chestnut. Dust a small plate with enough cinnamon and roll your biscuits in cinnamon until completely covered. 4. Place cinnamon balls on a baking tray lined with parchment paper, leaving some space between them as they will double in size if not more. 5. Bake in the oven at 180 ° C for 20 minutes. Remove with the aid of a spatula and leave to cool on a wire rack. These biscuits go really well with a cup of tea, chai or coffee! Personally I love them with a strong dark espresso... but I'll let you find your perfect beverage to go with these babies!